Hailed by Vanity Fair as "Essential Reading," Jeremiah Moss's Vanishing New York is an unflinching chronicle of gentrification in the twenty-first century and a love letter to lost New York. This book talk will illuminate Jeremiah Moss's studies and draw lines from the past to the present, addressing how we got here, how this history manifests in our present day, and what we can do about it. 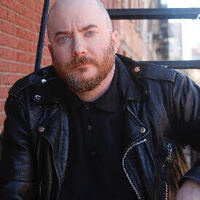 Jeremiah's expertise and passion for these beloved neighborhoods is presented with what the Village Voice calls a "mixture of snark, sorrow, poeticism, and lyric wit." Propelled by Moss' hard-hitting, cantankerous style, Vanishing New York is a staggering examination of contemporary "urban renewal" and its repercussions—not only for New Yorkers, but for all of America and the world. Q&A and book signing to follow. Sponsored by the Greenwich Village Society for Historic Preservation and The New School. Free with registration at the top right button.